After a single round of games, last week's Power Rankings rested on a foundation made of mostly air reinforced by preconceived notions. 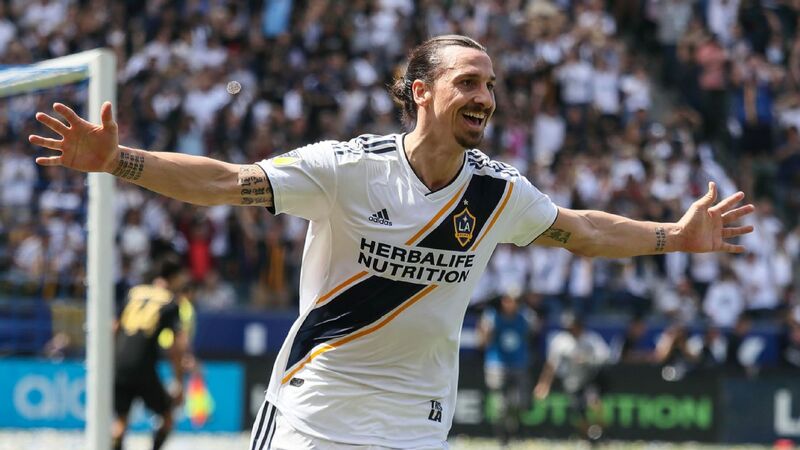 Who can say who's the best in MLS after a single week of results? Depending on last year's finish wasn't entirely advisable since there's just so much we don't know about new coaches, new players and new tactics. With two rounds of games in the books, the foundation is set. The rankings are now unimpeachable from today until the end of the season. One hundred-eighty minutes is more than enough to decide who's good, who's bad and who could use another signing or two. 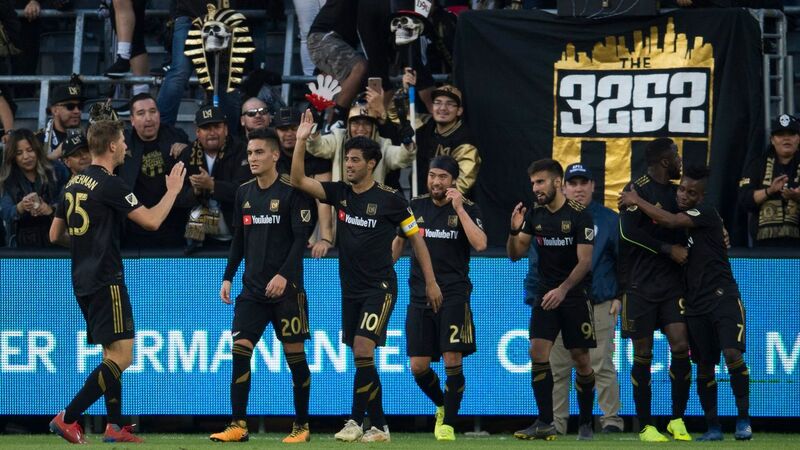 The romp LAFC executed over the Timbers at Banc of California Stadium felt like an early season marker laid down by a team that wants to challenge for every trophy available this season. 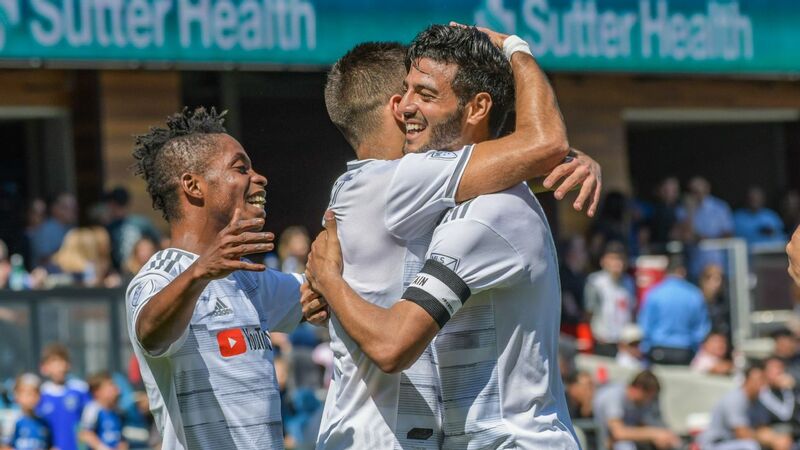 The effort was led by Carlos Vela, who made Portland look silly with three assists and a goal. Future opponents might want to consider hiring a warlock to counter whatever magic the Mexican star possesses in that left foot. The Sounders win over Colorado was mostly over by the time the Sounders faithful finished their first Viking clap. Seattle was out to a 2-0 lead inside of eight minutes off of goals by Kelvin Leerdam and Raul Ruidiaz and never looked threatened by the Rapids. Ruidiaz looks poised for a monster season, something we should have seen coming after last year's second-half run. Getting out of the Bronx with a point is nearly magical considering the horrific field conditions at Yankee Stadium and NYCFC's numerous chances to fire home a winner. 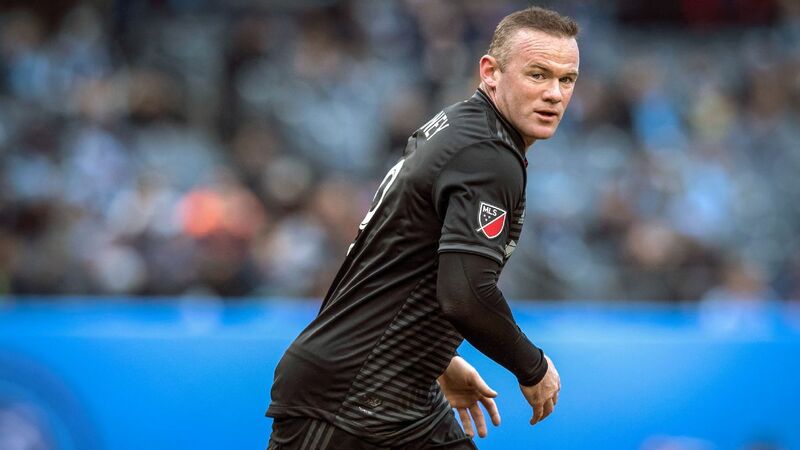 With Rooney and Acosta together for a full season -- maybe? -- DCU is a better team than it has been in years. Throw Bill Hamid's headstand routine between the posts on top, and who knows how good they'll be? Kansas can be a bit windy. Windy enough to knock a man down on occasion, if the circumstances are right. 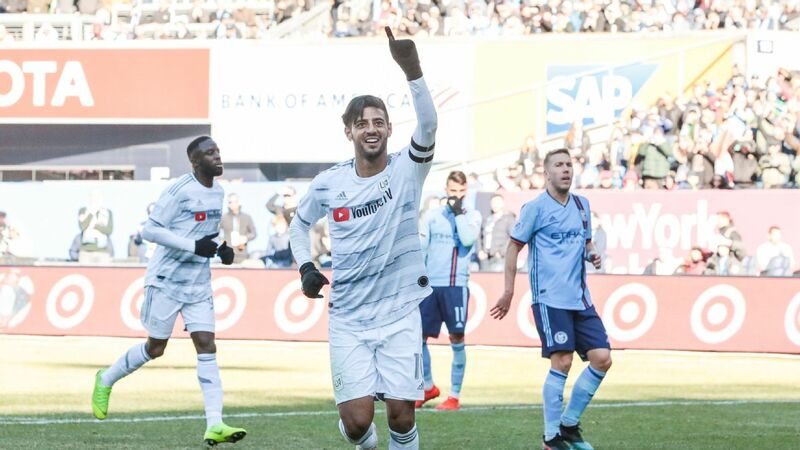 It was lucky for Sporting Kansas City that a gust strong enough to do just that arrived in the ninth minute of their match against the Union, sending Gianluca Busio to the turf and leading to a penalty that sent SKC on its way to a home victory in Week 2. No game for the Red Bulls this weekend, a fact that gives the club a chance to prepare to scale a mountain called, oddly, Mt. A-second-leg-in-the-CONCACAF-Champions-League-in-Mexico-down-2-0-on-aggregate. It will be a record-breaking attempt. 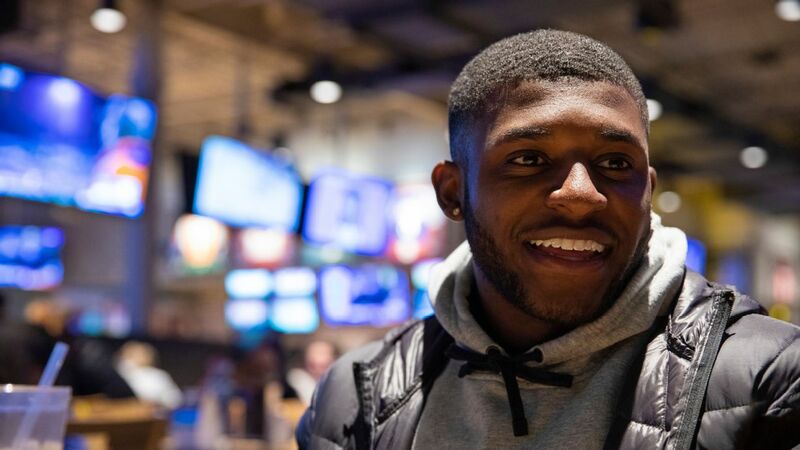 Crosses to a streaking Gyasi Zardes at the back post and Zack Steffen doing hero work in goal was what pushed the Crew into the playoffs in 2018. Caleb Porter isn't messing with what worked, at least when it comes to how Columbus creates chances. How the club will get along without Steffen after his move to Europe is an open question. 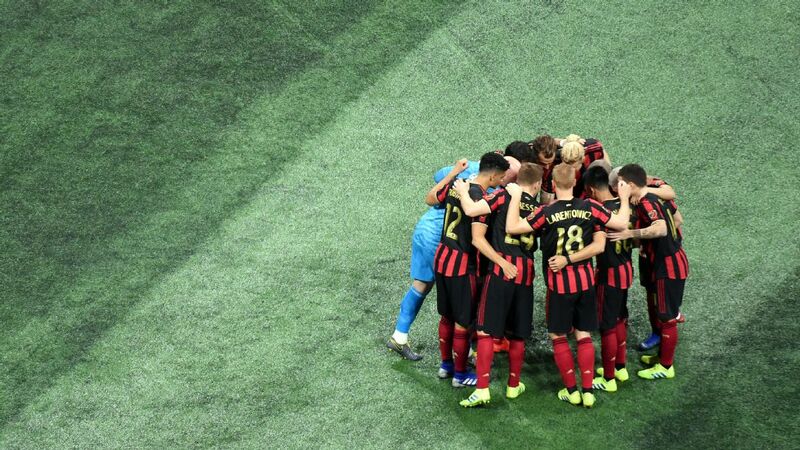 It would have been very easy for Frank de Boer to arrive in Atlanta and leave the defending MLS Cup champions alone from a tactical perspective. That might have been the prudent thing to do. But coaches bring egos, and De Boer's desire to put his stamp on United isn't exactly working at the moment. 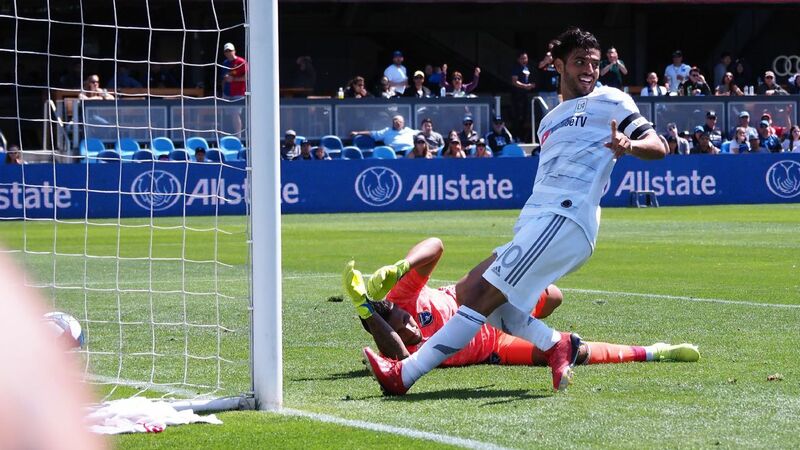 Carlos Vela and LAFC are off to a hot start in 2019, with the Mexico international notching three assists in a rout of Portland. Don't say it too loud, but the Loons might be good. 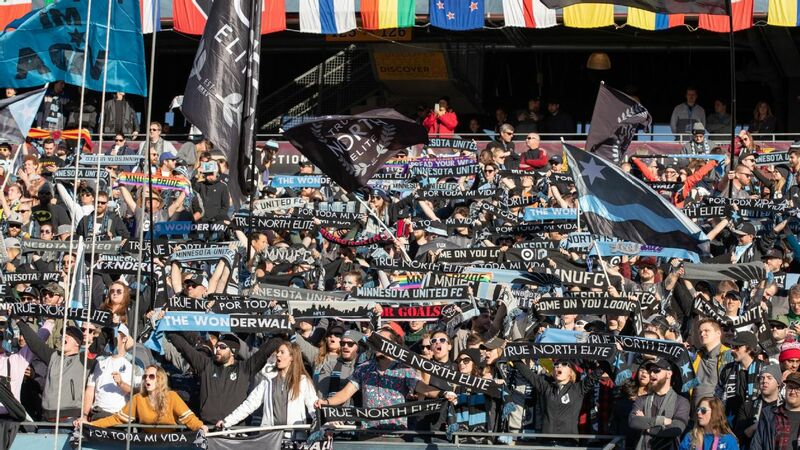 The hell with it, the Loons are good -- in the month of March after two games against teams that failed to qualify for the playoffs out of the Western Conference last season and are in the midst of breaking in new coaches. OK, Minnesota, how about this: Win next week and we promise to consider leaving out the qualifiers. As cliches go, "adding insult to injury" is almost perfectly suited to describe a game where a team not only gets humbled in defeat, but loses a critical player to a red card and the subsequent suspension in the next game. It's only right that we declare Diego Chara's bonehead second yellow an insult added to an injury for Giovanni Savarese's men. The New Yorkers took 21 shots against visiting D.C. United on Sunday and forced United goalkeeper Bill Hamid to make a number of spectacular saves. That's a lot of shots without a single goal, no matter how good Hamid played on the day. It's almost like there's a David Villa-sized hole at the front of the NYCFC lineup. 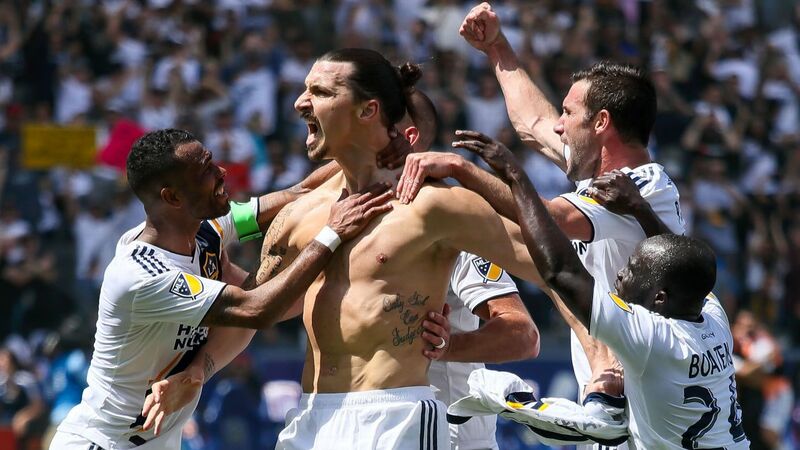 Would things have been different in Frisco if Zlatan wasn't back in L.A. nursing an injury? Would Guillermo Barros Schelotto be two-for-two with six points to start his career in MLS? Would the Efrain Alvarez hype train have picked up even more steam? Would the entry for the Galaxy this week include fewer unanswerable questions? We'll never know. Mike Petke's side was the beneficiary of an extremely generous penalty call in the first half and then held on for a 1-0 win over Vancouver. It was hardly a performance to celebrate; there's no point in RSL worrying too much about where the three points came from. This is MLS: A wry smile, a few extra reps in training and securing the right airplane pillow for the flight to D.C. is all you can do. 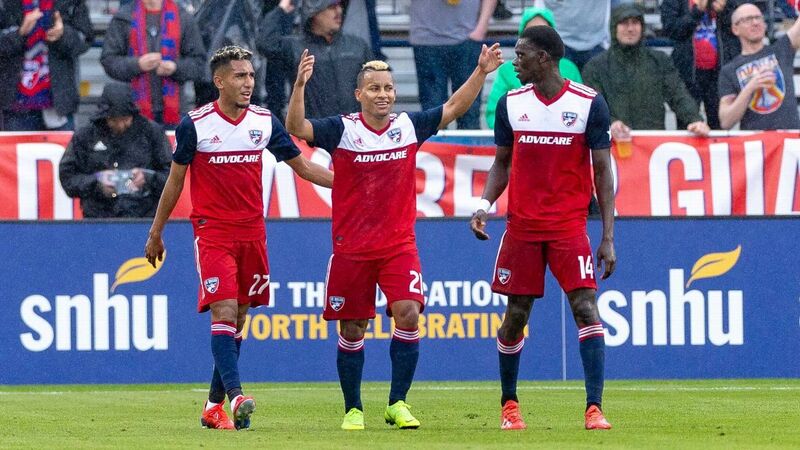 Luchi Gonzalez's first win as an MLS head coach was built on a penalty from Reto Ziegler and a bomb from Bryan Acosta, but the story in Frisco was as much about the youngsters who suited up for FC Dallas as it was about the victory. Reggie Cannon exited at half-time with an injury that everyone in North Texas hopes is minor, and Paxton Pomykal showed he's worthy of many more minutes. Give Wilmer Cabrera credit for not throwing in the towel in the face of disastrous odds in the Champions League this week. With a trip to Tigres coming and down 3-0 from the first leg, the Dynamo boss rotated his squad and still managed to get a win against the visiting Impact. Imagine having Romell Quioto and Alberth Elis on the bench to toss on in the second half. With rumors swirling that Remi Garde could be off in the summer to Lyon, the Impact fell short in Houston against a rotated Dynamo squad. On the plus side, a team notorious for playing without the ball actually held a possession advantage on the road. That said, it's hard to tell if it's a plus considering that Montreal was less effective for having the ball, and Ignacio Piatti was kept quite. Either way, it's zero points. The Reds open up the home schedule next week against Philadelphia at BMO Field. It should be a new-look Toronto side, too, with Alejandro Pozuelo on his way from Belgium and Jozy Altidore on the mend. When Altidore does get back on the field, he'll have the chance to prove himself worthy of the DP contract extension he signed midweek. Year two of the Brad Friedel program has delivered just a single point through two matches and now has a home loss on the ledger. Saturday's loss to Columbus wasn't encouraging on the attacking end of the field, but things might have been different if Diego Fagundez's penalty wasn't saved by Zack Steffen. Fagundez was a half-time sub, part of a trend under Friedel that's worth keeping an eye on. The two highlights of Marco Fabian's arrival in Philadelphia so far are his unveiling and a penalty kick goal in a 3-1 loss at home in the season opener -- if those even count as "highlights." 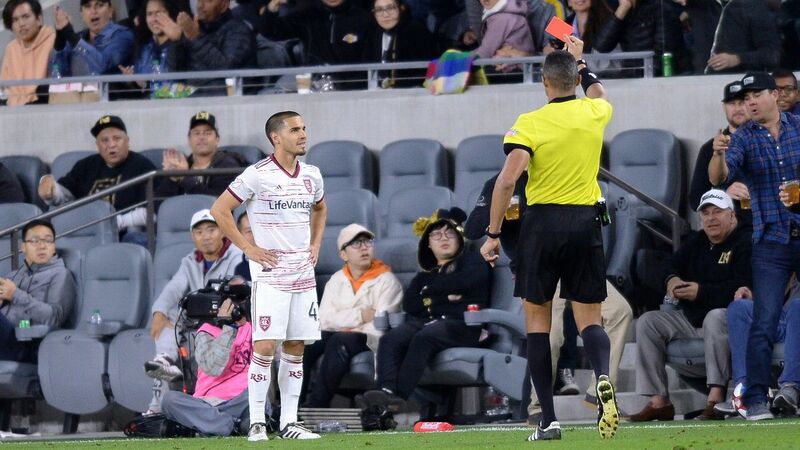 We now have a pair of definite lowlights after the Mexican attacker had a penalty saved and received a straight red card for a stomp in Philly's 2-0 loss to Sporting. Let's hope it gets better. The backdrop at Rio Tinto Stadium might be beautiful, but the Whitecaps didn't much enjoy the view in the penalty box. Corey Baird went down at the Vancouver end midway through the second half. To call the penalty given by Drew Fischer questionable is doing an injustice to the nature of questions. Marc Dos Santos is still looking for his first point as an MLS boss. The Lions nearly had it. They were the better team in chilly Chicago temperatures and had a lead late. A win at SeatGeek Stadium would have broken a streak of 14 straight losses for Orlando and jump-started the James O'Connor era in Central Florida, but a slip on defense means they'll have to wait for the streak to end and for this year's Lions to feel any different from last year's Lions. 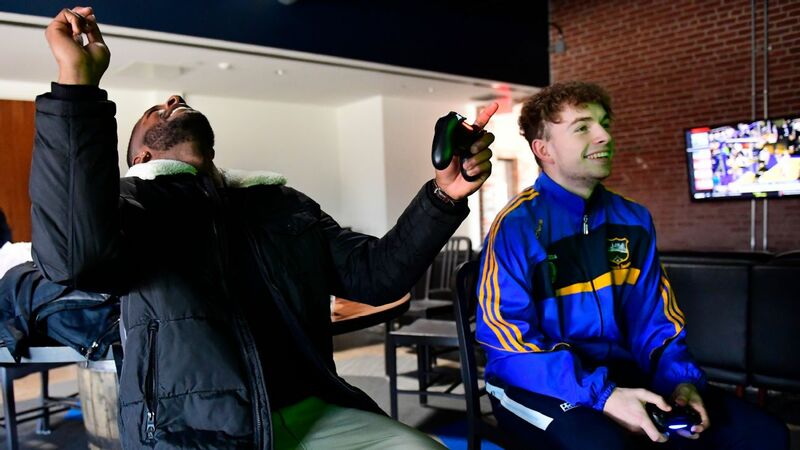 The problem with starting the season with a thrilling comeback in a driving snowstorm led by a first-year local college product is that the sequel is almost guaranteed to be a letdown. Unfortunately for the Rapids, there was no snow in Seattle, and the Sounders had no interest in letting Andre Shinyashiki get on the scoresheet. Anthony Hudson is going to need a different script. 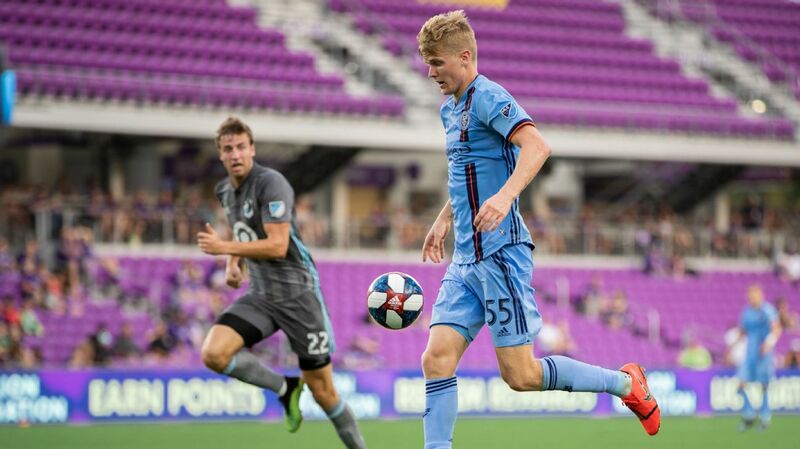 The Fire conceded a Downey-soft goal to fall behind at home against in Orlando in the club's home opener then yanked a point out of the disaster with a goal in the final seconds by C.J. Sapong. If that's progress, it's a strange sort of progress. It's also not great that the Chicago needed Sapong to finally convert a chance after Nemanja Nikolic duffed a pair. A point! 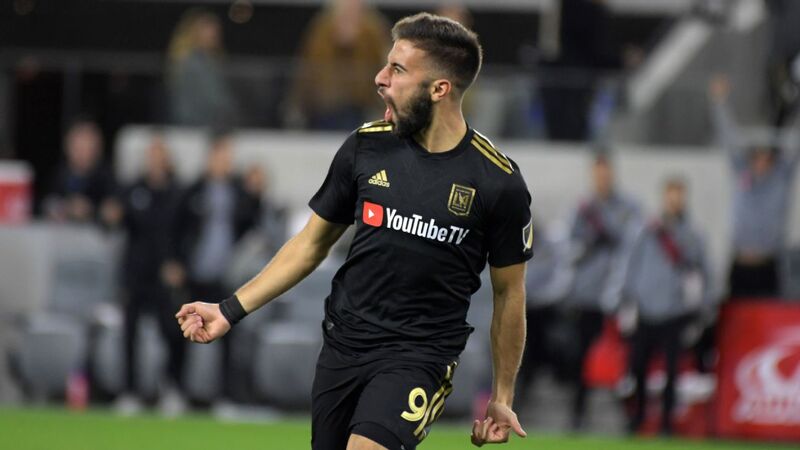 The new kids on the block, smack in the middle of a rough road trip to start life in Major League Soccer after the short run-up to that start, snatched a point from the defending champs at Mercedes-Benz Stadium. FCC engaged with the enemy and got an immediate contribution from new signing Kenny Saief. Next up: THE HOME OPENER (cue dramatic music). The Quakes have now been torched at home two weeks to start Matias Almeyda's tenure in San Jose. After the match center back Guram Kashia spoke about "failure," and Almeyda himself took blame for the loss. 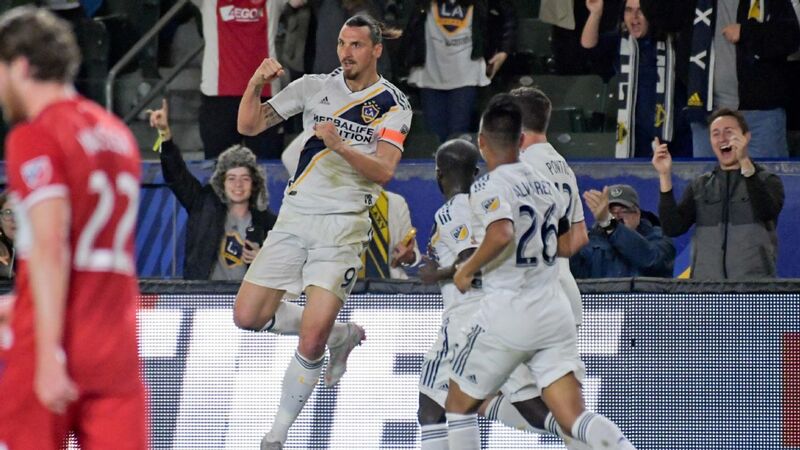 It's already getting dark in Northern California, and while accountability is good, it's hard not wonder if Almeyda has the horses needed to even start the race out West.